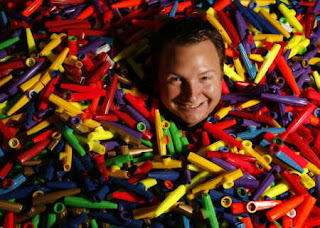 Stephen Murray, 27, is the vice president of operations and one of two full-time employees at Kazoobie Inc., a kazoo factory in Port Richey. What's it like working at a kazoo factory? And how the heck did one pop up in Pasco County? We just had to ask. Kazoo - What's In The Name? NameWire is a blog about product naming written by the folks at Stategic Name Development. They recently posted an article about the name "kazoo." 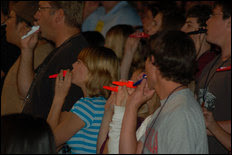 The kazoo is, interestingly, the only truly American instrument, leading some to believe it should be our national instrument. 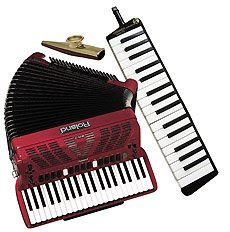 I doubt the movement to make the kazoo our national instrument will go anywhere, because the word kazoo is simply too silly. But, on the other hand, its no different than a lot of Web 2.0 names. NameWire points out the importance of a good product name and makes a business out of helping clients develop great product names. 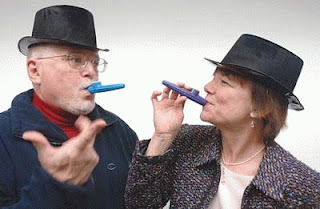 We at the Kazoobie Kazoos Blog think the word "kazoo" is the perfect word to describe America's unique musical instrument, and we don't think it's a "silly" word at all. At least no more silly than "NameWire." What do you think? 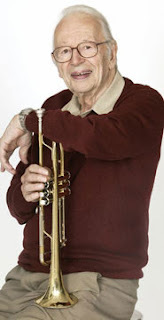 Humphrey Lyttelton, the jazz trumpeter who became doyen of the double entendre as chairman of the quiz show I’m Sorry I Haven’t a Clue, is to make a bid from beyond the grave to enter the record books as leader of the world’s biggest kazoo band. Lyttelton, who died on Friday aged 86 after heart surgery, equipped every member of the 3,550-strong audience with a kazoo at a live version of the radio programme earlier this month at the Hammersmith Apollo in London and encouraged them to hum into the simple instrument. 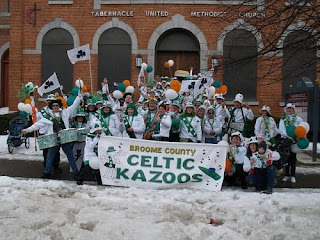 Our good friends over at the Broome County Celtic Kazoo Band have a new website. Check it out by clicking HERE. 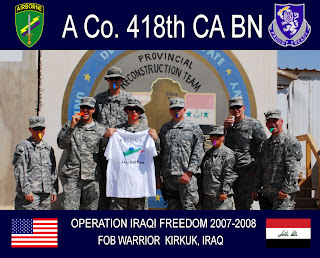 With over 130 members, the BCCKB is one of the most active and accomplished kazoo bands. They proudly use Kazoobie Kazoos. Check out their events page to see if they will be appearing at a parade near you! The Twain Harte Amateur Neighborhood Kazoo Symphony (THANKS) gave its farewell performance this year after being an integral part of the Twain Harte Christmas Parade since the early 1990s. "We decided it's time for our swan song," said Gary Sipperley, who founded the group with his wife, Sheri Barnett. "We want to quit while it's still fun." The couple first attended the Twain Harte Parade in 1991.